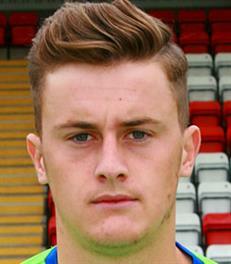 Twenty one year old Sam Hornby has signed for the Harriers on a season long loan from Championship side Burton Albion. The highly rated youngster has just signed a new contract with his parent club after joining them from Halesowen Town in July 2015. He joined Town from Redditch Utd before that. He also spent the latter part of last season on loan at Brackley Town where he was heralded as the player of the season by the Brackley manager. On leaving the Harriers at the end of the season he returned to Burton but was released by them to join Port Vale on a two year contract.